At Parschauer Eye Centers we have licensed and knowledgeable opticians available to assist you with every optical need, ranging from the purchase of contact lenses to helping you choose the best frames for your glasses and sunglasses from within our collection of hundreds of styles and designs. They can also assist you with everything from cleaning and repairing your eyeglasses, to ordering specialty optics for sports and other needs. 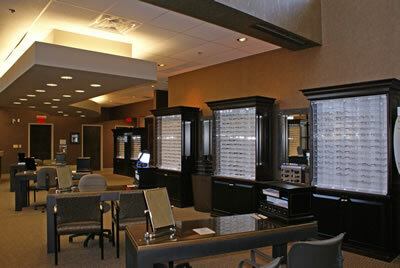 Stop in and see one of our skilled opticians today. The optical shop inside the Parschauer Eye Center offers a selection of over 600 frames for your perfect fit and style. That’s 600 different frames – not including our selection of sunglasses. Within this collection, we offer a range of designer and fashionable spectacles for people of all ages, looks, and lifestyles.